Design is all about details – noticing the small things, making improvements, downplaying flaws. Over the weekend, I was digging in some old files of my Dad’s and I came across this photo I’d taken for my 1999 Christmas cards. I wanted to share it because I think it illustrates a pretty good lesson in the power of seeing the potential in the details of a space. 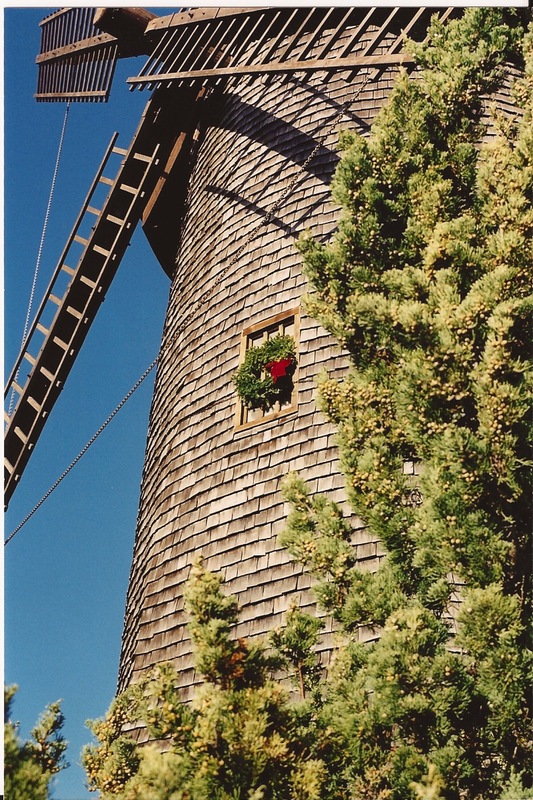 You see, this lovely windmill is not located in some European idyll as it might appear. 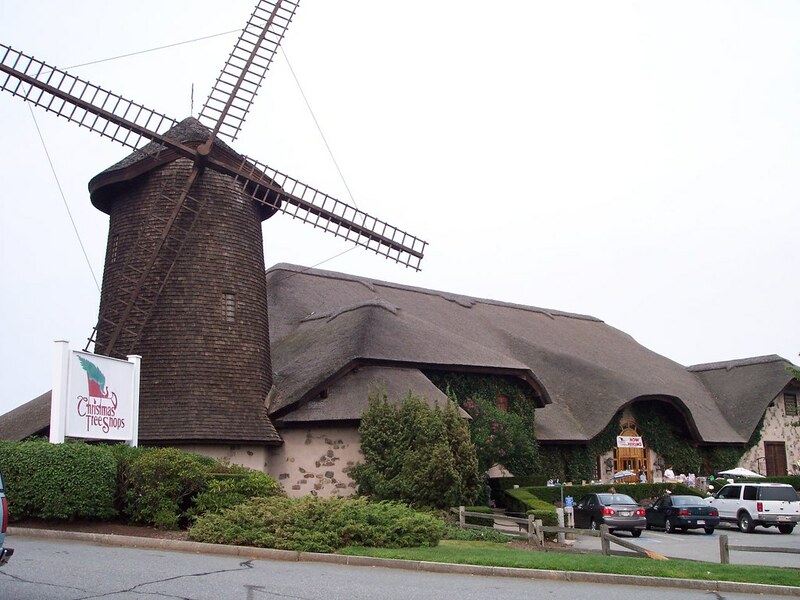 It sits hard by the Sagamore Bridge on Cape Cod and is in fact part of the Christmas Tree Shops – the original off-price home goods store. Their stores are usually kitschy to the extreme and this one is no exception. Luckily, at the right angle and on the right day, I was able to extract the only pretty thing about this building for my photo. would have enjoyed the connections so easily discovered. 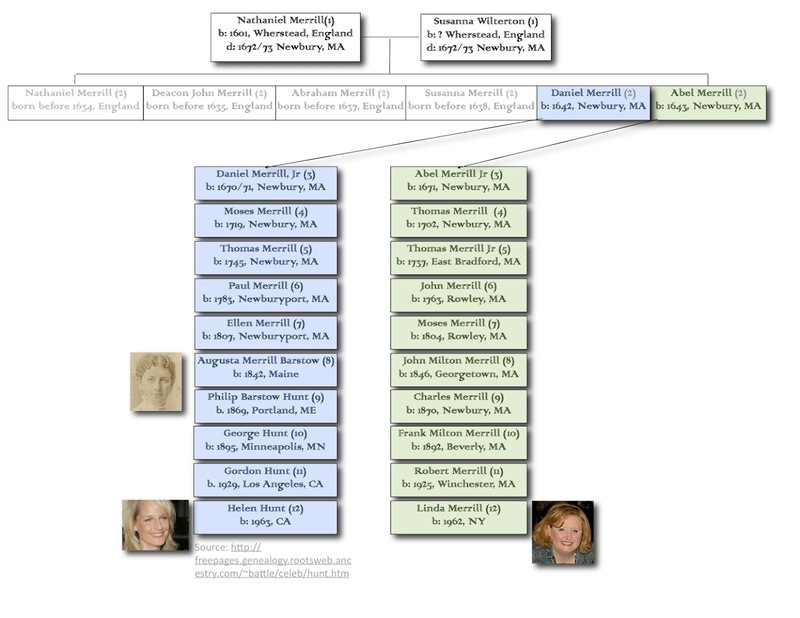 I put together a little dual family tree to see how closely our two lines match up. “Cousin” Helen and I come from the youngest two sons of Nathaniel and his wife Susanna (don’t want to forget the ladies!) who were one year apart in age. Interestingly, over the course of 360 years, Helen and I, who are also one year apart in age, are in the same generation as well. You can see the Hunt side working their way across the country where my side has stayed relatively close to home. Although I was born in upstate New York, I’ve lived most of my life in Massachusetts and lived for a time in Newburyport – a city I’ve been drawn too since the first time I visited. Getting back to Augusta, she was quite the woman, apparently. A young widow with several children, she was an early crusader for women’s rights including the protection of women and children against their alcoholic husbands (WCTU), educational rights and women’s suffrage. 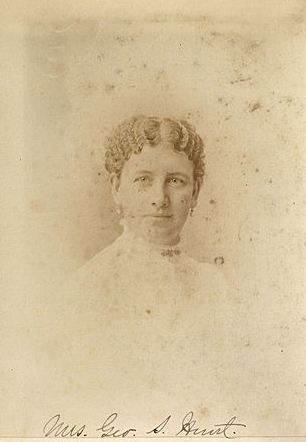 She sat on committees, lobbied the Maine legislature and was appointed to position by the Governor of the state. She lived until she was 90 and was the first woman in her district to cast a vote after the 19th Amendment was passed. 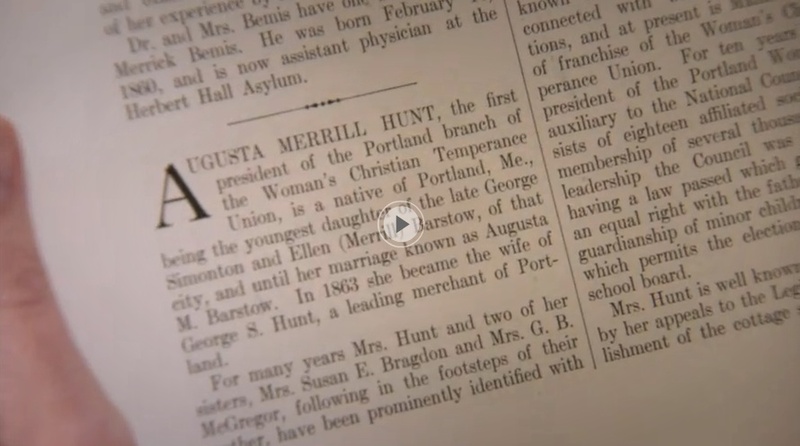 I found a link to a scanned copy of a very interesting book written in the 1890’s called “Women of the Century” to document over 1800 outstanding women – one of which is Augusta. They refer to the 19th century as the “Women’s Century”. If you want to see the whole Helen Hunt episode, click here. Of course, it’s fun to find out you’re related to a famous person, especially an Oscar winner like Helen Hunt. But to find a relation (no matter how distant) who had such great impact on the lives of those in her community and women in general is truly amazing. And, had I not been paying attention to the details – like seeing a name pop up on screen – I would have likely missed it entirely. Interesting images or making chance connections only happen when one is paying attention to the details. I’d love to hear your stories too! Don’t ya love when you find something great – in your own cupboard!